Enter your email address in the field below to receive our exclusive news and product offers. 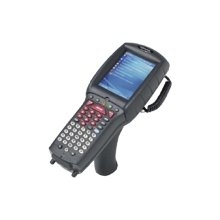 The Falcon 4423 Scanner is an ergonomic mobile computer designed for warehouse, distribution center, and retail in-store environments. Out-of-the-box, the Falcon 4423 mobile computer offers a variety of Microsoft applications specific to the chosen operating system. Ease of development is coupled with the Falcon Desktop Utility (FDU) and Falcon Management Utility (FMU) for effortless fleet deployment and management. This portable mobile computer balances ergonomics and ruggedness with configuration flexibility.